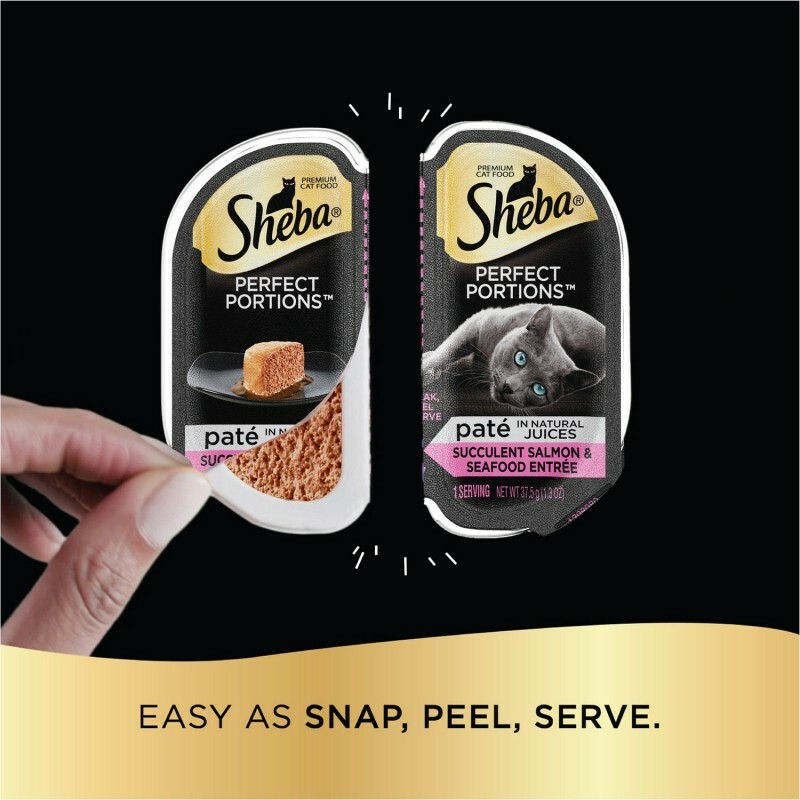 With two individual servings in one package, SHEBA PERFECT PORTIONS Salmon or Whitefish & Tuna Entrées Pate Cat Food Variety Packs are a convenient way to treat your cat to a meal that is perfectly portioned just for them. Our mouthwatering pate for cats is formulated without corn, wheat or soy to avoid common allergens, and it contains no artificial flavors or preservatives. Real meat is the first ingredient in our premium cat food, so you know your cat is getting a wholesome feast. Treat your feline friend to fresh cat food at every meal — no messy leftovers — with SHEBA PERFECT PORTIONS Wet Food for Cats.